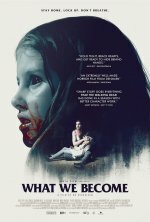 What We Become release date was Friday, May 13, 2016. This was a New York / Los Angeles release. The Johansson family’s idyllic summer is brought to an abrupt halt as deaths stack up from a virulent strand of the flu. The authorities start off by cordoning-­‐off the neighborhood, but soon panic and force the inhabitants into quarantine in their hermetically- ­‐sealed houses. Isolated from the rest of the world, teen Gustav spies out and realizes that the situation is getting out of control. 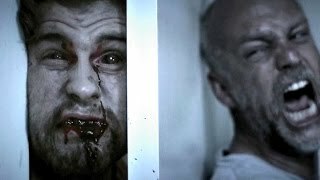 He breaks out, but soon the family of four comes under attack from the riotous, blood-­‐thirsty mob who forces them to the extreme to escape alive.